Is The New Southwest Companion Pass Offer A Good Deal? Yesterday Chase came out with what I thought to be a pretty impressive deal for their Chase Southwest Plus and other personal cards. They launched a welcome offer of 30,000 Rapid Rewards points plus a companion pass for the rest of 2019. Not everyone felt the same way as I did. Will at Doctor of Credit thought it wasn’t very good since you can earn it for almost 2 years the old fashioned way, by signing up for a Chase Southwest business card and a personal Southwest card. Some of his readers agreed with him but just as many disagreed with him. Our readers were the same way, split on the issue. I believe that is because it isn’t the best option for everyone but it is for some. So is the new Southwest Companion pass offer a good deal? I have always said that this isn’t a one size fits all game. What is amazing for one person may not be very valuable for another. So what I would like to do is make a guide of sorts for each side of the argument. This will make a case of who this new offer works for and who is better off going the old route of signing up for a personal and business card to reach 110,000 points. People who would spend over 30,000 points or $450 on Southwest with a companion this year. This is the most important thing because if you won’t fly enough to hit these figures you are better off waiting for a 60,000 point offer to come back otherwise you leave value on the table. This wouldn’t be hard for many since it is only one or two roundtrip flights worth of value but be sure that you have enough travel to make it worth it. The two card route won’t work unless you can get a Chase Southwest business card. Anyone who doesn’t feel comfortable or want to put in the effort to get two cards. Or someone who values simplicity. If you can not reach large spending limits. If you go the two card route you are looking at a minimum of $10,000 in spend on the two cards to hit the 110,000 points needed. 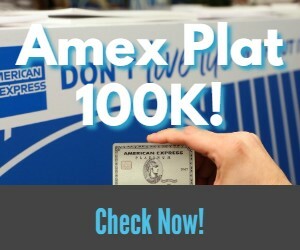 40,000 points after $1,000 in spend on personal cards and 60,000 points from $3,000 in spend on the business card. That would leave you 6,000 points short which would require $6,000 in spend (a total of $10,000 all together). You would still be $5000 short of the second 20,000 point bonus on the personal card too. 50,000 point offers after $2,000 in spend have been offered on Southwest flights in the past. If you can get one of those for the personal card then that is the way to go. You can pair it with a Business card and have enough points for a companion pass after $5,000 in spend between the two cards. I am not sure if this offer is still around or not. You don’t want to wait until the end of this year. The timing to get cards for the Companion Pass is the end of the year. You complete the welcome offer spend in January and get the bonus points to post as early as you can during the year. That is how you lock it in for almost 24 months. But since the higher personal offers are gone for now you would have to wait until they come back. If they take too long it would be better just to wait until 2020 to do it. You are able to get business cards and don’t mind high spend thresholds. These two are important if you want to go the old route. If the 50,000 point offer is no longer available on planes then you need to be able to spend $10,000 in a short period of time. You can find the 50,000 point personal card offer on a flight. If this is still around and you have an upcoming flight then you should consider this route. If you don’t have much domestic/Southwest travel this year. You would be better off waiting until the end of the year and approach it then. You want to have a larger stash of points to play with. Instead of only having 30,000 points you would be sitting on 110,000 or 120,000 plus points when it is all said and done going this route. The Diamond In the Rough? If you are able to get business cards and large spending numbers don’t bother you then there is another option. It is a merging of the two ideas. You could get the personal card now, complete the minimum spend quickly, and have the Companion Pass starting in February. If you then applied for the Business version you could earn another 60,000 points after spending $3,000. This would leave you at 97,000 points or 13,000 points short of the companion pass. If that kind of spending doesn’t bother you, having to spend $13,000 more, then this is an option as well. It would only be sensible for people who are able to complete a lot of spend easily. You could also refer a friend or family member to the card for 10,000 points which would lessen the amount you need to spend to earn the companion pass. This would get you the companion pass quicker than going the traditional 2 card route. You wouldn’t have to wait to space out the two applications and complete the spend on both cards to start using it. You would be able to get it pretty quickly and then use the rest of the year while working on earning the other points needed. Hopefully this helps people who are torn on what to do make their decision. If you are able to get a business card and (potentially) large spend doesn’t scare you off then you should go the traditional route. If you prefer simplicity or can not get a business card then go with the new offer. Or you could take door three and combine the thinking on both and enjoy the companion pass now and later. I plan on sharing this offer with friends and family who don’t want to get into this hobby but still like to travel. The people that will get a credit card every year or two but are not interested in multiple applications. Share your thoughts below – which group do you fall into and why? I think this deal is just a marketing gimmick. If you fly Southwest a lot you should just do to the (almost) 2-year companion pass. It’s not worth using up a 5/24 application for this. Also, having the Companion Pass by February available seems pretty aggressive. I’m sure for most people by the time you apply, get the card, spend $4k, next statement cycle hits, then you actually find a reasonable flight, it’ll probably be April or later… so you might only get 8-9 months out of it. True – you would have to already have some big bills lined up. You could still pair it with a business card to get over a year and a half with it. That may be beneficial IF you had a lot of Southwest/Domestic travel upcoming with a companion. But overall getting the full 2 years offers the most value if you are able to get a business card. Currently the 50k in-flight offer is still active. It only requires $2k spend, and can actually be accessed outside of a SWA flight so you don’t need to wait until you’re flying to apply. Personally I have a hard time justifying getting the new offer unless someone is really incapable of getting the business card, like if they’ve gotten it in the last 24 months, if they are in a career that requires a financial audit, or if they don’t have unrestricted authority to work in the US. Applying for the business card and the in-flight offer one after the other gets you 110k points and the pass after just $5k spend. You’re getting 80k more Southwest points and the companion pass for an extra year in exchange for an additional hard credit inquiry and an additional $1k spend- that’s a hard deal to say no to unless it’s truly out of reach. Thanks for the DP – yeah if the in flight 50K offer is still available and you can get a business card then that is the way to go. I would think the 1st line in the blog should say, “Read no further if you are over 5/24”. I would think the majority of us are over 5/24 and Chase is not going to let anyone have anything. Haha that is true of pretty every Chase offer posts these days. Jeremiah, have you seen the 50K offer in an airport in the last couple of days? I’m hoping they haven’t changed it . Has anyone seen the 50K offer in Phoenix airport or any airport in the last couple of days? Larry, I believe the offer is in the in-flight magazine. I saw it there in November. I signed up for this yesterday with hopes when Southwest starta flying to Hawaii in the near future they will honor the companian pass from flights from Hawaii just as my Delta Reserve & Plat do. They will honor it out of Hawaii or at least I am pretty sure they will. I have not seen anything to say otherwise. Southwest was supposed to launch Hawaii flights this month but due to Gov shutdown its delayed. News said last night hope to see them launch March/Apr timeframe. The Delta cards only honors companion Hawaii or Alaska flights if your card address has a Hawaii or Alaska address on the bill. They honor it everywhere else on their route map, even internationally, so I think it is a pretty good chance they continue that trend for Hawaii. Is there a referral bonus for the 30K & 2019 companion pass? If not yet do you think there will be one? I haven’t seen one yet and I doubt there will be since they just changed the referral the day this offer launched and I think it is for 40K.